The following are some personal notes on the basic workflow for contributing to a project on Github. Visit the project's repo page (https://github.com/someguy/nice_project), click on "Fork" in the upper right corner. Set an "upstream" remote so you can pull down "someguy"s code whenever you need to. 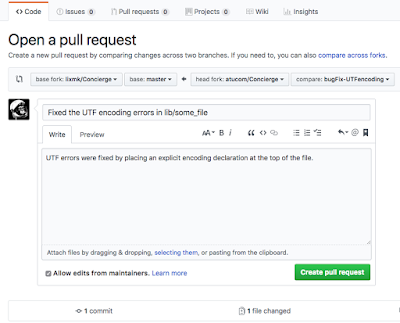 Click on the "Compare & pull request"
Fill out the pull request, and then hit "Create pull request"
Now you just wait on comments, requests, ridicule, or anything else. Once they are happy with your contributions they will "merge" your changes into their branch. Congrats on getting your pull request accepted and contributing to something. You will now feel slightly less like a leech. Rinse and repeat lines 4-10 on the same project or the whole thing for a new project. 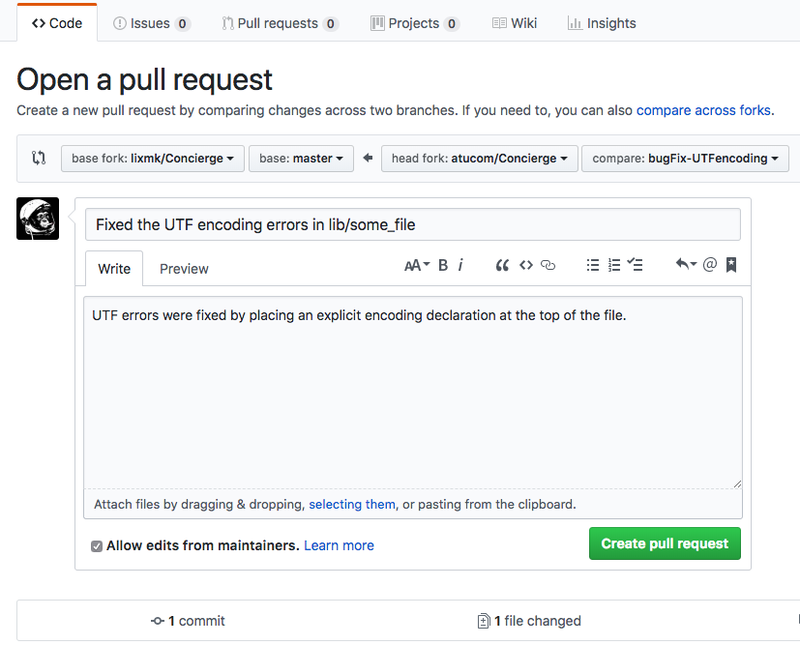 Bonus: If you want to pull down a specific branch from a remote upstream, you can easily do it with "git checkout -b up-master upstream/master"